This region has a great mix of lively resorts, picturesque villages and vineyards. Our hand-picked coastal campsites give you access to all the highlights. Top of the list is the fairytale town of Carcassonne, an UNESCO World Heritage Site famous for its double-walled fortifications. Medieval Montpellier with its beautiful cathedral and opera houses is another great day out. You can combine history and exercise at the Canal du Midi. This 17th century engineering marvel runs for around 150 miles from Toulouse to the port of Sète and can be explored on foot, by bike or by guided boat trip. For family action there’s Aqualand Waterpark, set in six hectares of green fields and only open in high summer. The huge drive-through safari park Réserve Africaine de Sigean has antelopes, chimpanzees, elephants, bears, giraffes, rhinos and more. If you want maximum character on your French holiday, you can’t beat the Loire with its gently rolling countryside, charming towns and magnificent châteaux. It’s also great for exploring on bike – toast your efforts at the end of the day with some incredible local wine! Among the châteaux highlights is the Château de Chenonceau, built right across the River Che and renowned for its formal gardens, superb ‘old masters’ paintings and rare Flemish tapestries. Younger children will love the maze and resident donkeys. The Château de Chambord is the largest and most extravagant of the Loire châteaux. Left empty after the Revolution, the Château’s 440 rooms now house a fine collection of furniture and works of art, and a hunting and nature exhibition. If Châteaux fatigue sets in visit Futuroscope, a futuristic theme park where the interactive rides use simulators, 3D glasses and sensor bracelets to create amazing journeys. This lovely part of France combines great weather with a relaxed atmosphere and miles of golden beaches. Explore Ile de Ré with its white-washed houses, sandy beaches and miles of flat cycle tracks. The resort of Royan has upmarket shops and fantastic seafood restaurants. La Rochelle is a delightful city with a large and exciting aquarium (complete with shark tank) as well as two stunning medieval towers that guard the entrance to the old port. Oyster aficionados will love the Ile d’Oléron where you can follow the ‘Oyster Road’ to discover traditional methods of cultivation. You can also visit the world famous brandy town of Cognac and learn how this delicious drop is made. It’s easy to see why the Cote d’Azur is always a Canvas favourite – long sunny days, uninterrupted stretches of beaches and sheltered coves. It’s the ideal summer escape. There’s plenty to do away from those stunning beaches, too. At Nice you can whizz along the Promenade des Anglais on rollerblades, or hire a bike to get around the cultural sights, including the Russian Cathedral. Go celebrity spotting in glamorous St Tropez, Monte Carlo or Cannes. Soak up the history in the medieval village of Roquebrune-Cap-Martin, dominated by its 10th century castle. Art and history buffs will love Antibes, with museums dedicated to Picasso, Napoleon and archaeology. Head to Grasse and visit the International Perfumery Museum or tour the perfumeries. Want to get your France fix, fast? Hop over the Channel to North Brittany. As well as being easy to reach, this rugged northern coastline is home to picture postcard seaside resorts and excellent visitor attractions. 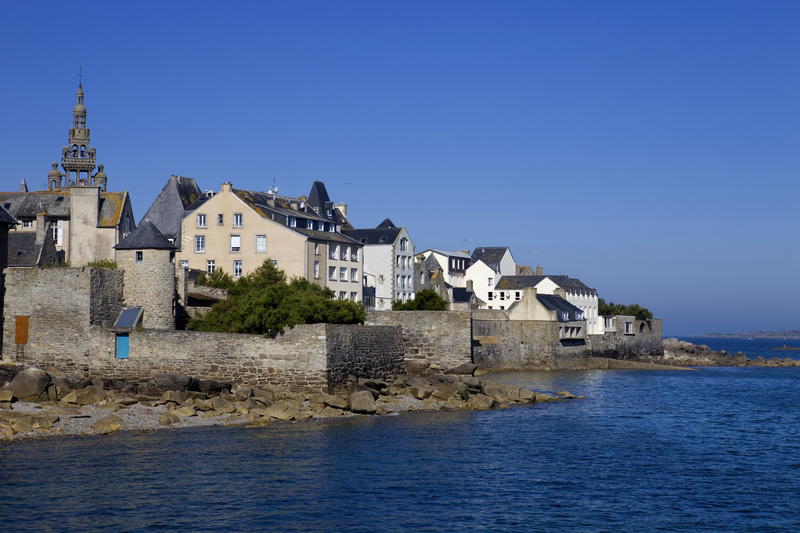 At the busy fishing port and resort of St Malo you can walk round the ramparts that encircle the old town and visit the museum in the Castle. The Breton capital Rennes is graced by lovely old buildings and quaint timbered houses. Pléneuf Val-André has wonderful sandy beaches and a bird reserve on the islet of Verdelet. The whole family will love Océanopolis, a huge aquarium where you can watch the penguins and seals being fed, and take the elevator to the depths of the shark tank. And did we mention the food? The famous Breton crêpes and galettes, cider, and local seafood are all the more tasty when eaten in the summer sun.